Wilderland Kennels is pleased to announce the addition of WILDERLAND’S WITCHCRAFT (aka DIVA) to our kennel. DIVA, as she is known, is from Ohio. She is truly a diva with her British background, her refined yet mischievous attitude, elegant way of moving and stunning liver colored coat. She will replace Viper as a brood matron starting in 2019.
grandam, CH Columbia’s Macey is also a Field Champion. 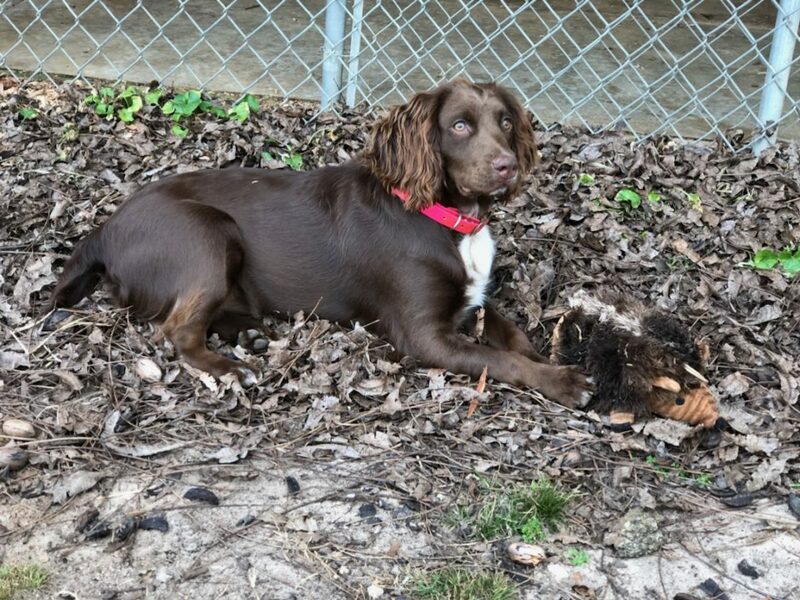 This entry was posted in English Cocker Spaniels and tagged Diva, Wilderland's Witchcraft on February 16, 2018 by Linda Kelley.